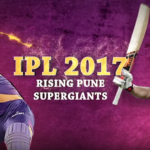 Ajit Agarkar and Brad Hogg preview the game between the Rising Pune Supergiant and the Mumbai Indians. Who will emerge victorious? Will Faf du Plessis have his best IPL season yet? 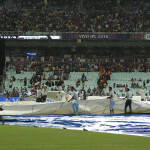 The Rising Pune Supergiants beat the Delhi Daredevils by 19 runs on the D/L method after their match was called off after two rain interruptions. The Kolkata Knight Riders won the rain-affected contest against the Rising Pune Supergiants by eight wickets at Eden Gardens on Saturday. It was a pivotal time: The Challengers had lost Lokesh Rahul and AB de Villiers in one over and the run rate had climbed to 13. A brilliant ton from Virat Kohli and a massive blast from Shane Watson gave the Royal Challengers a seven-wicket win over the Pune Supergiants. 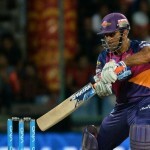 It wasn’t much, but it was important: MS Dhoni hammered 10 off two balls to regain the momentum against JP Duminy’s Dehi Daredevils. JP Duminy’s debut as Delhi Daredevils captain ended in disappointment with a seven-wicket loss to the Pune Supergiants. Brendon McCullum and Dwayne Smith’s 93-run stand set the platform for the Gujurat Lions’ nail-biting three-wicket win over the Pune Supergiants on Friday. 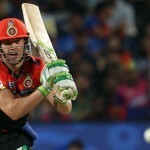 AB de Villiers smashed a brilliant 83 off 46 balls to lead the Royal Challengers to a 13-run win over the Pune Supergiants on Friday night. 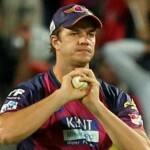 David Miller’s Kings XI cruised to their first win in three, beating the Pune Supergiants by six wickets on Sunday afternoon.